Registration will be open from 06:45 - 08:30 Double wave 1 - 07:45 Double wave 2 - 08:20 Sprint 09:15 Wave times will be emailed out Friday morning and posted on this website. Race pack will also be emailed out Friday morning. Water temp was a balmy 13c yesterday so we are starting the swimming sessions tomorrow. 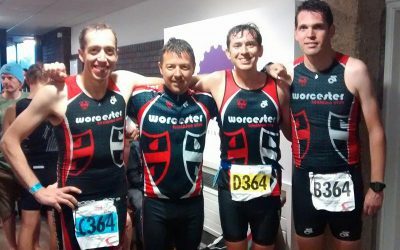 For regular updates join the Worcester Tri Club FaceBook Group page. The last open water swims are Weds 7th September and Saturday 17th Sept. Full detail on the swim page of the website. 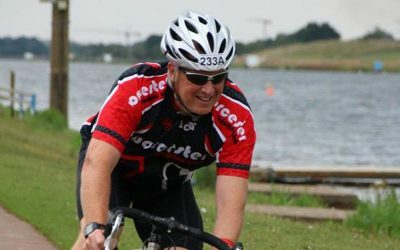 https://worcestertriclub.co.uk/races/events/droitwich-sprint-triathlon/droitwich-sprint-triathlon-2015-start-times/ Link to race times above. Open water swimming cancelled Weds 20th July due to algae. You will still be able to get a swim in at New College Worcester Wednesday evening 5.30pm - 6.30pm. Many thanks to all that raced, watched and helped out today. Results Peopleton RESULTS 2016 -short Peopleton RESULTS 2016- Relay Teams Peopleton RESULTS 2016 - standard Thanks again Hopefully see you all again at our next event, Top Barn Standard on the 15th May. Don't forget the last Weds eve. swim session is this week (2nd Sept) and the last Saturday AM session is on the 5th Sept.
Open water swimming is back on tomorrow at Upton Warren. Unfortunately Upton Warren will be cancelled until further notice. Hopefully the green algae will clear soon and when it does we will update you all. Green algae still a problem. Keep checking the website for updates about Saturday. Unfortunately Upton Warren is cancelled again tomorrow due to algae. Keep checking the website for updates. Open water swimming weds 1st July cancelled! Top Barn results are available at stu web: http://www.stuweb.co.uk/events/2015/05/17/2122/ Big thanks to all racers, thanks to Worcester Tri Club members for marshaling and thanks to St Richards Hospice for providing marshals. Swimming on 9th May Upton Warre, see you there! Club members had a great morning out on their mountain bikes at the Forest of Dean on Sunday 12th April. Thanks to Chas for organising it. Peopleton 2015 results here. Well done to all competitors! Race is on the 17th May with three distances available to cater for all. See here for details and entry. 2015 membership forms available here for new members and those renewing. The Peopleton Duathlon and Children's & Youth Duathlon are both open for entries on EntryCentral. See our Races section for more details. Droitwich Triathlon will be available for entry soon. Tuesday evening turbo training sessions start 28th October 7pm at the University of Worcester, information. Contact Mark Corbett to book your place. The children's Duathlon results can be found here. Well done to all athletes. The 2014 season kicks of 7am on Saturday 3rd May and Weds 7th May at 6.30pm. Details on the training page. Entries are now coming in for the popular Peopleton Duathlon. For the first time ever we will be running a shorter distance race consisting of a 2 mile run/ 9 mile bike/ 2 mile run as well as the usual standard distance of 4 mile run/ 18mile bike/ 2 mile run. Steve Trew to speak at Club Dinner! 2014 races open for entry! All of our 2014 races are now open for entry on www.entrycentral.com . Get your entry in early to ensure you get your place on the start line! The club are proud to announce that they will once again be supporting St Richards Hospice in 2014 by donating 10% of our race entry fees to the hospice. Tuesday evening turbo training sessions start 22nd October 7pm at the University of Worcester, information. Congratulations to Dan who has qualified to represent Great Britain at the European Championships in Kitzbuhel next year! Arran will be coaching Saturdays sessions at Sansome Walk on the 28th Sept, 12th Oct and 26th Oct.
Worcester Tri club members are all set to represent Great Britain at this weeks World Age-Group Championships in Hyde Park. Neill Crump competes on Wednesday in the Aquathlon and Ellen Hemsworth competes in the sprint triathlon on Friday. Good luck to them both. Problems with the pumps again! With only 30 places left & 3 weeks to go to the Droitwich Triathlon this year is looking like a sellout! Arran will be coaching our Saturday swim sessions on the 13th and 20th July, and the 3rd and 24th August. At last some good news. We have had the all clear for swimming at Upton Warren so will be running a session Saturday 29th June. Usual costs times etc which are detailed under the training / swim pages. Always check the website for updates. Afraid the sessions are still cancelled until further notice. Still got problems with the algae. Keep checking the website for updates and possible new swim venue. We hope to have a positive update on open water sessions very soon. Discount for Worcester Tri Club members. £20 entry fee. Results here. Well done everyone! Big Congratulations to Daniel Geisler from Worcester Tri who won the event overall and also to his team mate Richard Gourlay who won the men’s open category. Richard Gill however was not far behind the younger generation, winning the men’s Veteran category. It is just 14 days until the Children's Duathlon on May 26th. Enter now on entrycentral. Arran will be coaching at Sansome Walk on the 11th and 18th of May, and the 15th and 29th of June. Arran will be coaching at Sansome Walk Saturday the 20h and 27th April. Peopleton Duathlon results are here. Well done everyone! Unfortunately the pool is out of action due to problems with the pump. Hopefully it will be fixed by the end of the week. Info will be on the website and via email to members. Maz is starting a Kettlebell Class at Upton Snodsbury Village Hall beginning Monday 21st January 6.15-7.15pm. Kettlebells is a great all over body work out and great fun too. Open to all abilities. Please see poster for more information. There are two places left on the swim course starting 11th January. Contact Chas or Arran if you are interested. The Droitwich Sprint Triathlon is now live,the clubs other races will follow shortly Happy New year! The pool closes at 5pm over the Xmas period so instead the staff have offered us the use of 2 lanes from 1-2pm. Back to normal the week after. Fancy completing a triathlon but you’re not a strong swimmer? College pool open again Weds 14th Nov.
Sansome Walk is closed Saturday 10th Nov so there will be no pool session. Arran was due to coach on the 10th but this will be changed. I have been told today that it is unlikely the pool will be operational this week. I will update this Monday 12th November. Turbo training – sign up now! Monday College swim back on. Arran will be coaching at Sansome Walk on Saturday 9th and Saturday 29th September. Usual times. There is no swimming at the college tonight (Monday 27th August). Back to normal Wednesday. Arran (our swim coach) will be at Sansome Walk session this Saturday August 11th. Arran will be coaching at Sansome Walk on Saturday 14th and 28th July. Usual time and cost. Open water swimming is on! The lake is now around 13 degrees and so is warm enough to swim. Join us at Upton Warren this Saturday (12th May) from 7 to 9am. Wetsuits compulsory (until water is warmer) and bring a bright swim cap. There's no swimming at college this Friday 6th April or Monday. Back to normal for next Weds. Sansome Walk on as usual 5-6pm. With great regret we have made the decision to cancel the Droitwich Aquathlon due to insufficient entries. We will be reviewing the future viability of this race. Please do look out for our other races which have always been very popular. Individual competitor photos from all stages of the Droitwich triathlon are available from DEphoto. Droitwich results – home win! Results are up on Stuweb. Congratulations to our own Iain Jennings for a fine overall victory, David Jubb fastest junior and Paul Scriven also in the top ten giving us the team prize. Start times for the Droitwich Sprint Triathlon are now available here. Good news, swim sessions at New College will continue through the summer. Friday start time has been put back slightly to 17:15. Full results from the Peopleton Duathlon are up on Stuweb. Due to low entry numbers we have decided to cancel this year's Aquathlon due to take place on Sunday 20th February. Thanks to those who volunteered for marshalling duties. A reminder that New College closes Thursday this week for half-term. Swim sessions will resume on Wednesday 2nd March. Turbo training next week will take place on Monday night 14th Feb instead of Tuesday, in order to accommodate a cycling club event. 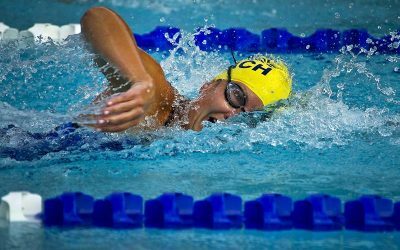 New College swim sessions resume on Wednesday 5th January. Due to falling demand and costs the committee have decided to cancel Thursday night Pershore swim sessions with immediate effect. We are proud to confirm dates for another full season of races in 2011. The early season aquathlon has moved to a later date in February, other events are similar to this year. Details and early entries here.